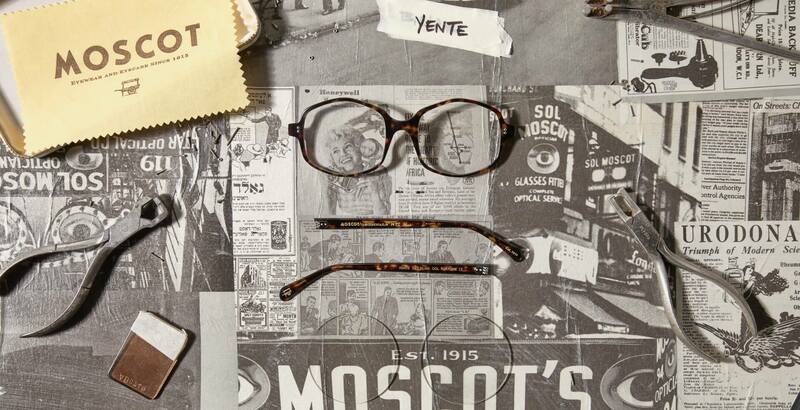 Check out the MOSCOT YENTE frame. Oversized, quirky and named for Aunt Etta, this vivacious NYC eyewear might not keep you forever young, but you will look like it. Model is wearing The YENTE in size 54 in Kaleidoscope. "Drawing inspiration from the 1930s through 1980s, the collection is traditional in design yet contemporary in its construction, featuring the brand’s timeless sensibility and 102 years of optical expertise in each new frame "